Michael counsels and represents clients on insurance coverage matters, claims handling issues, and bad faith litigation. Michael has handled a broad range of litigation matters in both state and federal courts across Texas, and has experience in first-party and third-party insurance disputes involving commercial property, commercial general liability, and homeowners policies. Michael provides advice and analysis to clients on coverage issues, pre-litigation strategy and dispute resolution, and litigation. Michael completed his undergraduate studies at Liberty University, graduating with a B.S. in Government in 2008. He earned his law degree from Southern Methodist University Dedman School of Law in 2014. He is licensed to practice in Texas, and admitted to practice before the U.S. District Courts for the Northern and Eastern Districts of Texas. 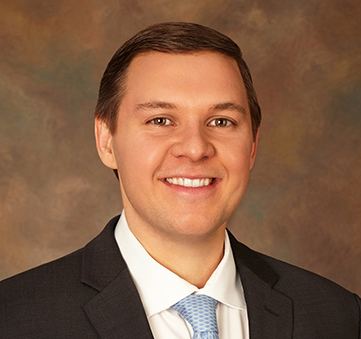 Michael is a member of the Dallas Bar Association and the Dallas Association of Young Lawyers.